Grant White, associate editor, is a second-year MFA student in poetry at Virginia Commonwealth University. He is responsible for all correspondence with contributors and submitters and tracks all content for the journal into publication. 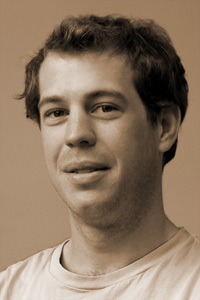 Before serving as associate editor, White served as bio editor for Blackbird. His review of The Learners by Chip Kidd appears in the v8n1 issue of the ournal. He earned a BA in English and art history from Bowdoin College in 2004.